Canadian-born director Denis Villeneuve makes movies that block out the world. From the first to the last frame, his films keep you engaged and, more often than not, transfixed. Building on the success of past movies like “Prisoners” and “Sicario,” the director’s latest film, “Arrival,” is arguably the most emotional, thought-provoking and visceral experience he’s crafted yet. Based on Ted Chiang’s short story, “Story of Your Life,” “Arrival” is a grounded alien invasion tale that poses the question: If first contact was made, how would we communicate with extraterrestrials? That becomes a terrifying reality when mysterious ships begin to land around the world. It’s an unsettling day full of fear and paranoia, but some believe that the aliens may be a symbol of hope and not terror. To find out the aliens’ motivations, Linguistics professor Louise Banks (Amy Adams) is brought in by the U.S. government to interpret their language and find a way to communicate. 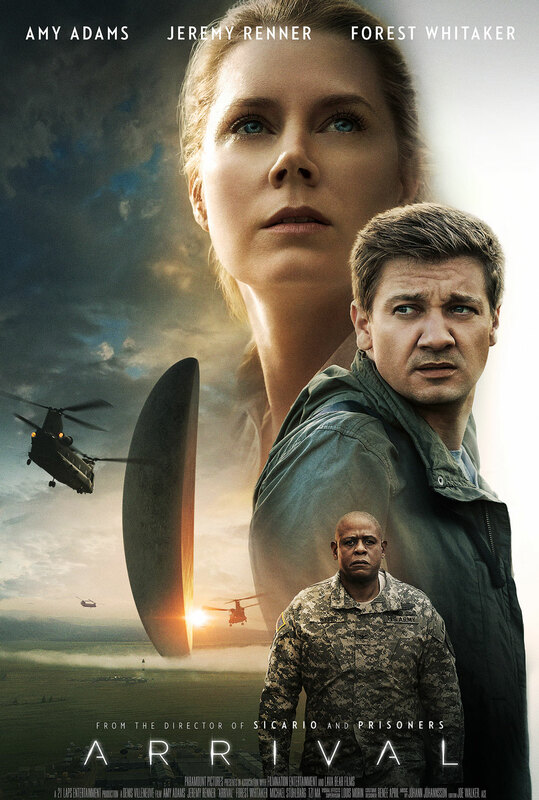 At the start of the film, Louise is tired and haunted by visions of her dead daughter, but with the world at stake, she’ll do everything she can to maintain peace between Earth and these beautiful and sparsely designed extraterrestrials, working with mathematician Ian Donnelly (Jeremy Renner) and U.S. Army Colonel Weber (Forest Whitaker) to form a plan before China declares war on the visitors.